After last week’s vote in the School Reform Commission, which closed down 23 schools in Philadelphia creating education deserts in communities already suffering from public disinvestment, I went home, turned out the lights and buried my head under the covers. The past week has felt like a collective sense of mourning for our schools and a sobering realization of the scale of struggle Philadelphians face as we fight for public schools and for our communities. Public education under attack is nothing new in Philadelphia. But the crisis this time around is far greater than even the 2001-2002 state takeover of the Philadelphia public schools, which mobilized thousands of people to take collective action. Back then, the state’s attempt to privatize the public schools was clearly defined as Harrisburg vs. Philadelphia, right-wing Republican privatizers vs. a moder politically moderate public, the for-profit Edison Schools Inc. vs. the public interest. We won incredible victories during the state takeover. 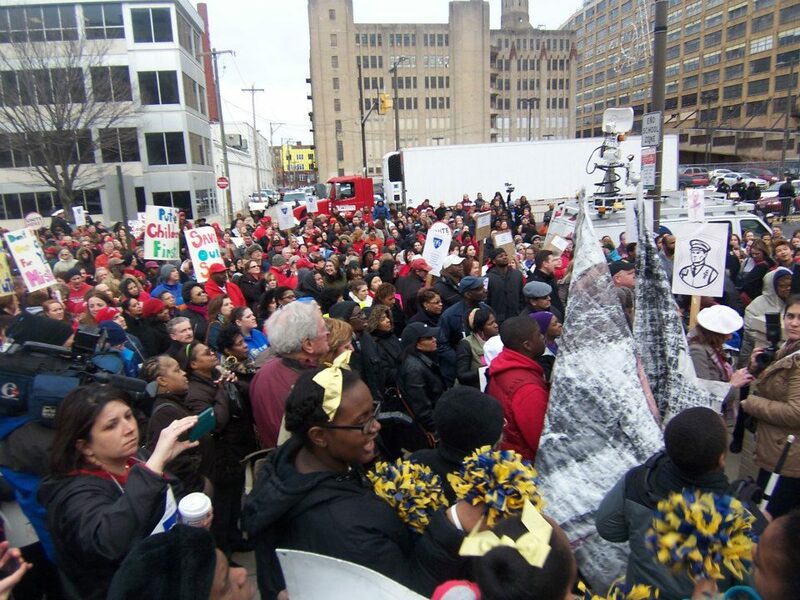 Not only did we succeed in beating back a political and monied effort around wholesale privatization; the struggle brought renewed life to activist organizations like the Philadelphia Student Union and the Public School Notebook and helped establish community/parent/labor partnerships that continue today. The School Reform Commission at the time, always a flawed entity, nevertheless had a strong dissenting voice and commissioners who, at critical times, were influenced by public action. Fast forward 12 years later. Today the face of privatization and the effort to undermine public education is no longer distant partisan Philadelphia haters hundreds of miles away in the far reaches of the state. Today the biggest threat to Philadelphia public schools comes perhaps from within our own city, from political, business and civic leaders who flash their Democratic party credentials and tout social liberalism, from the lack of political will to stand against the most aggressively anti-education Governor the state of Pennsylvania has ever seen to the passive capitulation to highly monied private interest groups seeking political influence. Those forces all came together around the school closings. Yes, Governor Corbett’s unforgiveable anti-education budget manufactured a crisis of untold proportions not only in Philadelphia but in districts throughout the state. But let’s also not forget that the District and School Reform Commission wasted precious months all last spring and summer while it played footsies with the Boston Consulting Group. Today, according to State Senator Vincent Hughes, the SRC has abandoned the education funding formula and settled for a paltry $15 million additional from the Governor’s budget. And we haven’t even begun to touch on the many monied and private interests circling around Philly public like vultures. The circumstances are, in some ways, unimaginable. But we cannot allow the unimaginable to leave us naïve or hopeful about the all out assault on public education. Last week’s school closings – delivered with cold precision and nary a kind word from the School Reform Commission – should sober us up fast that the latest efforts to derail public education are just beginning. In a few weeks, two more school closings will be voted upon, Beeber Middle and M.H. Stanton, subject of the Oscar-winning documentary I Am A Promise. School budgets will be delivered shortly. If you think your school location or performance insulates you from the instability of the District, think again. We are hearing that there could be some stunning numbers around reducing individual school budgets. With or without our Mayor and the SRC, the Governor’s budget and the fight in Harrisburg for a fair and equitable funding formula will dominate much of the spring. And this summer promises a massive struggle over a teachers’ contract that threatens the welfare of students and families as much as it does the educators it formally governs. More than ever we need an independent citywide parent voice around our schools, one that finds common ground across neighborhoods and constituencies. It’s not just enough to be invested in our schools, we must be educated about solutions and organized for political and community action. We can’t be apologists for schools that don’t work but neither can we cede ground that after more than a decade of state takeover and privatization experiments gone bad, the public commons remains the only place where we can achieve both equity AND excellence. As our sister group Yinzercation reminds us, our response to all this doesn’t only impact Philadelphia. It holds lessons and inspiration for communities across the Commonwealth. In her book Lessons From the Heartland, author Barbara Miner tells a story of 50 years of hypersegregation and disinvestment around public education in her beloved hometown of Milwaukee, WI, where vouchers have been around for more than two decades and where charters are now making inroads. Wisconsin is the home of Governor Scott Walker and Sen. Paul Ryan, yes. But she also reminds us that it is the home of the Wisconsin uprising that became a national symbol of public education at the forefront of defending democracy. In a recent visit to Philadelphia, Barbara pointed us to places of hope like Chicago and Seattle, where teachers organized a boycott of standardized testing. “Sadly, Philly is following the neoliberal path that we discussed Detroit being on. 1) Detroit has now moved to the next stage–the elimination of elected/representative government and imposition of an emergency manager with autocratic power. The crisis of democracy takes a different form in other places (e.g. gutting of Voting Rights Act) but we need to name it for what it is and see it as a national crisis. 2) We need to link this crisis to the broader regime of neoliberalism–point out what’s happening with the changes in global capital, the excess power of Wall Street (Detroit paid $474 million just in borrowing fees since 2005), and rise of the new urban gentrification class that warps city priorities (that’s why I always tell people in Detroit to look at Philly to see the widening disparities that occur when neoliberal urban revitalization succeeds). 3) The old bases of liberal/progressive politics (labor unions, civil rights, public sector) are being undermined and/or co-opted by the neoliberal assault. The best of these groups are reeling and confused; the worst have made pacts with the devil. My friends fighting the new Wal-Mart in Chinatown Los Angeles saw their old friends from civil rights and ethnic community orgs coming out to testify for Wal-Mart. In this context, individuals of color have often become deracinated and unmoored–I get a first-hand look at this at the college student level where confusion, anxiety, debt, and google-ization have pushed this strong identification with neoliberalism, privatization, and professionalization. 4) Of course, in the age of Obama the people carrying out these horrendous decisions will increasingly be Dems, p.o.c., women, queer, etc. 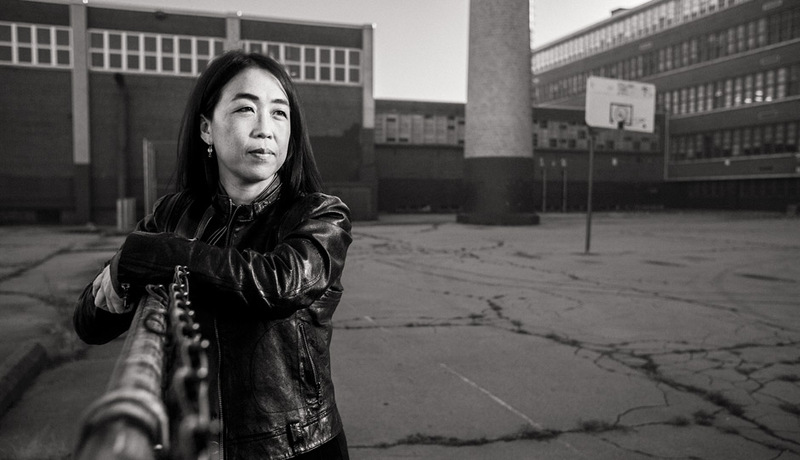 Michelle Rhee has become a national symbol of all of the wrong values being promoted by the newly empowered class of multicultural neoliberal elites. Detroit’s emergency manager is an African American democrat who speaks of being born in the Jim Crow South. Clinton’s election/administration was a key turning point in history toward this direction.